Nissin Foods Holdings, the Japan-based instant noodle maker, has expanded its product portfolio to include a noodle soup line. The Sheng Dai range includes two variants: Sino Very Sheng with leek and pork balls; and Sino-Sheng, a green onion, soy sauce and pork flavour soup. 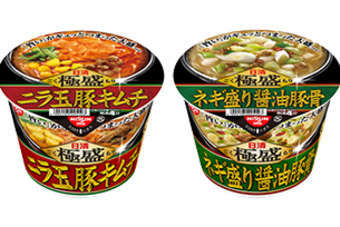 Both soups contain a thicker noodle, Nissin said, and are available across major stores in 90g pots.